La Vita Nuova Inc., is the distributor of The Best Natural hair dye without PPD & NO Ammonia, Sanotint. Our mission is to provide to our clients high quality of natural products, combined with personal customer service, in order to achieve exceptional consumer satisfaction. Is located in Burlington, Ontario, Canada, for more of 14 years we are offering to our customers the best quality of natural hair dye and Skincare products from Italy. La Vita Nuova, offer The Best Natural hair dye without PPD & NO Ammonia, Sanotint. 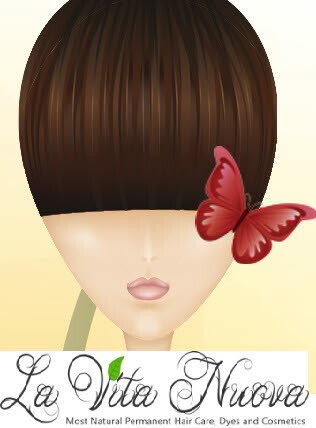 we believes that honesty is the best policy for all consumers of hair care and cosmetics products. We always recommend that everyone should be aware of your potential sensitivities and follow a rigorous investigation on what is a good or bad to a quality product because your priority should be your health. When in doubt, always discuss the use of chemical based products with your personal physician for their advice. Sanotint is an Italian Natural Brand with more than 50 years in the European market. La Vita Nuova is operate In Canada since 2005. At La Vita Nuova, we are aimed giving consumers effective, environmentally-friendly alternatives. All our natural products came from the abundance of plants, roots, flowers and herbs rich in vitamins, enzymes, proteins, minerals and other biologically active compounds that have been used in the care of hair, the body and skin for centuries. Cosval Italy has strived to produce only the highest quality, naturally sourced ingredients, which have been proven to be most effective. All Locherber skin products and Sanotint contains natural ingredients that deliver topical benefits to the hair and skin.